A ‘sequel’ to Beyond Tribal Loyalties: Personal stories of Jewish Peace Activists. I am putting together a second book of stories of Jewish people who have broken away with the mindset and ideology of Zionism. I am looking for Jewish people who were brought up to believe that Zionism was a benign, idealistic, positive, frontier movement, that Jews had merely returned to their ancestral homeland after ‘2000 year of exile’, and who were taught that supporting the state of Israel (right or wrong) is the most important value in the life of every Jewish person. Somewhere along the way the prospective contributor has learned that in fact Zionism is a settler-colonial programme that created a settler-colonial state in historic Palestine at the expense of the indigenous people. The movement out of Zionism represents a shift from a tribal, inward-looking, insular mindset toward a more universal set of values that does not consider one group to be more entitled to survival than any other. The transition out of Zionism usually leads to a change in the person and often to some form of action. I am interested in what triggered this process, what the process was (or is) like, what (if any) is the price paid for the transition and anything else that is part of the story. If you are from Jewish background, if you were brought up on Zionist doctrine in any country or context, if you have found your way out of it, I am interested in your story. I will be available to help you write your story if you need my support. I don’t want to miss out on what might be a valuable contribution just because some people might be worried about the process of writing. I am happy to have Skype meetings or we can communicate by email. If you, or someone you know fit the ‘profile’, and wish to contribute to this collection please read my Invitation & Guidelines document. I believe the timing for these stories is even better now than it was six years ago when the original BTL was published. The timetable is relaxed. I don’t like artificially-generated, unnecessary stress, and don’t like to inflict it on others. Ilan Pappé has agreed to write a Foreword to the book. 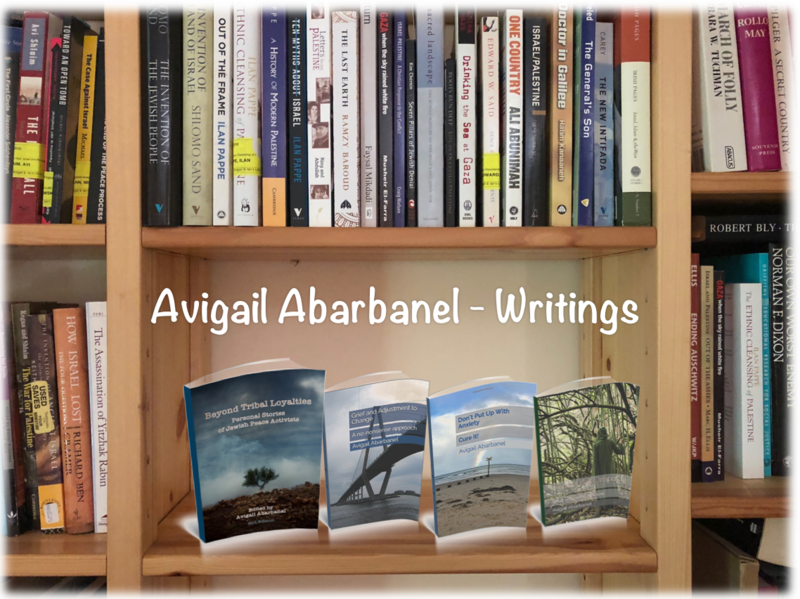 A second Foreword will be written by a Palestinian friend of mine whose family are direct victims of the Nakba, perpetrated by Zionist-Israeli settler-colonialism. I will edit all the stories, write the Introduction, and the Afterword, put the manuscript together and worry about how to publish it when we get there. Please do read the original Beyond Tribal Loyalties, now in its second edition, to get an idea of what this project is about. The 2nd edition of BTL is available on amazon worldwide both in Kindle and in paperback. The link above will take you to the paperback edition on the Amazon UK site. If you are interested or are thinking about it, or if you want more information or to discuss anything at all, please write to me to: avigail@fullyhuman.co.uk.